← What am I going to Be When I Grow Up??? My Getting into Nature posts are inspired by Richard Louv’s book, Last Child in the Woods. I hope you will join me each week as I work to get my children outdoors and exploring the wonderful world around them. A little over two years ago my friend Katherine introduced me to Fairy Houses via her blog. She had mentioned making them with her children on their vacation, and having never heard of them I googled “Fairy Houses” right away. 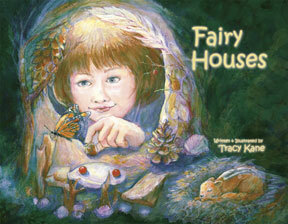 I loved the idea and ordered Tracy Kane’s first Fairy House book right away. I included it in my daughter’s Easter Basket (she was 6 months old at the time) and at the time my son was not that interested in the idea and so I put the book away and took it out 15 months later while we were on vacation at the lake. I read it to my son and my niece (ages 4 1/2 and 3 1/2 at the time) and they were enchanted by not only the story but about the idea that they too could make their own fairy houses! 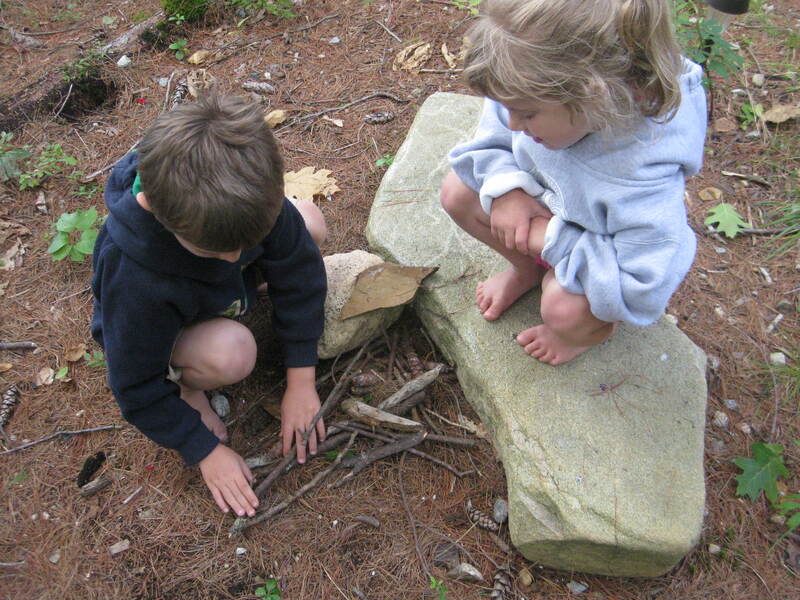 Building Fairy houses is a great way to get your children outdoors. They can be built anywhere and anytime of year….we have them all over New England. The rules are simple…they must be built out of things found in nature and no living thing should be harmed in the process. It is a magical activity for both children and adults. When children later go back to check their fairy houses and things have been added or moved (mother nature often moves things in the wind), it is quite exciting. 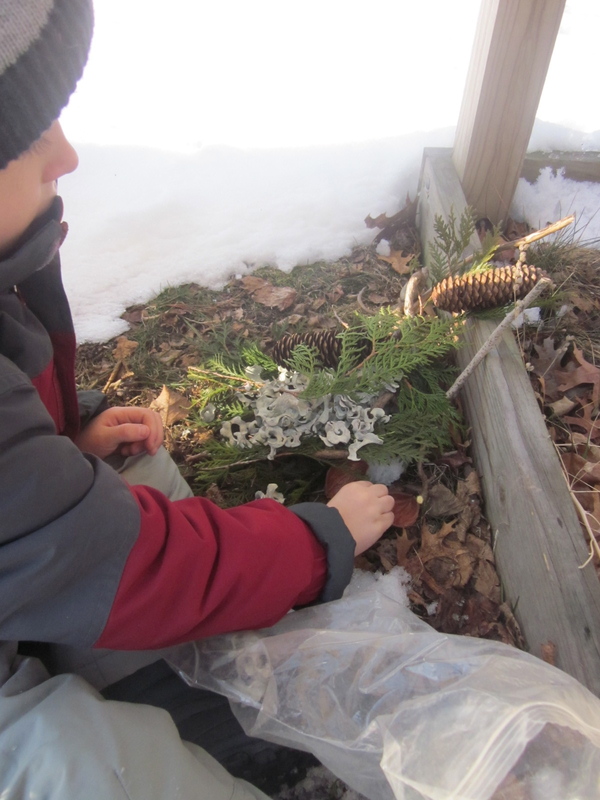 We have had many living things visit our fairy houses…butterflies, dragonflies, bumblebees and even a bird or two. We always wonder if these creatures are fairies in disguise or if a fairy might not be along for a ride on their back. My children got the other two Fairy House books in the series this year for Easter, Fairy Flight and Fairy Boat. They are both great and have inspired even more Fairy House creations. Sparkle Stories is another place for fairy inspiration. Martin and Sylvia are often building Fairy houses and they also have two fairy series…So Many Fairies and By Thistle, By Thimble. Have you built a fairy house?? I suggest you go out and try it today….it does not matter how old you are….Fairy Houses are for people of all ages!